From birth planning, to hip squeezing during transitional labor, and assisting with breastfeeding in the immediate postpartum, a doula can provide you and your birth partner with invaluable support during during these very special, intimate, and important moment of your lives. A doula can be the perfect addition to your birth team especially if you plan on having a natural birth in a hospital setting. 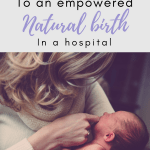 Giving birth in a hospital subjects you to practices and standards of care that may divert your plans to have a natural birth. Aside from these, hospital settings are usually very clinical, intrusive, and not conducive to a gentle and positive birthing experience. Through the emotional, physical, and informational support provided by doulas, women may feel more confident and empowered to make decisions for themselves that result in a more undisturbed and natural birthing experience. Studies have found that women who received doula support during labor, were less likely to have a c-section birth, an assisted birth, and regional analgesia such as an epidural. As a birth doula myself, I can say that this is very true. One of my clients felt encouraged to keep laboring without the use of drugs because her husband and I were there continuously providing her with the support she needed. She mentioned that she was not sure she’d be able achieve her goal of having a natural birth had we not been there to support her. A Doula helps empower you through physical, emotional, and informational support. In my opinion, doulas do not empower, but they help empower you. Doulas help build up and draw out what is already within you. You are already strong, and powerful. Whether or not you believe it, you are fearfully and wonderfully made (Psalm 139:14). A doula empowers women through education which is very important in the realm of birth. 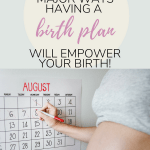 Having knowledge in the things concerning your pregnancy and birth will empower you to make better, more informed choices for yourself and for your baby. By supporting you emotionally and physically, doulas can help you feel safer, more confident, and more relaxed, thus empowering you to have a more positive natural birth experience. According to the ACOG, evidence suggests that the support provided by a doula, is associated with improved outcomes for laboring women. The type of support offered by doulas —emotional, physical, and informational— often leads to an overall higher satisfaction with the birthing experiencing of laboring women. From the constant reassurance of answers to a question women may ask several times during pregnancy, to the emotional support that is provided during the earlier stages of labor, to the counter pressure applied during transitional labor, it isn’t surprising that a doula’s constant presence and support often leads to a better overall experience. A doula’s constant support to the laboring women (and her partner if applicable) can also contribute to having a shorter labor. This study found that women who received doula support had shorter second stages of labor. 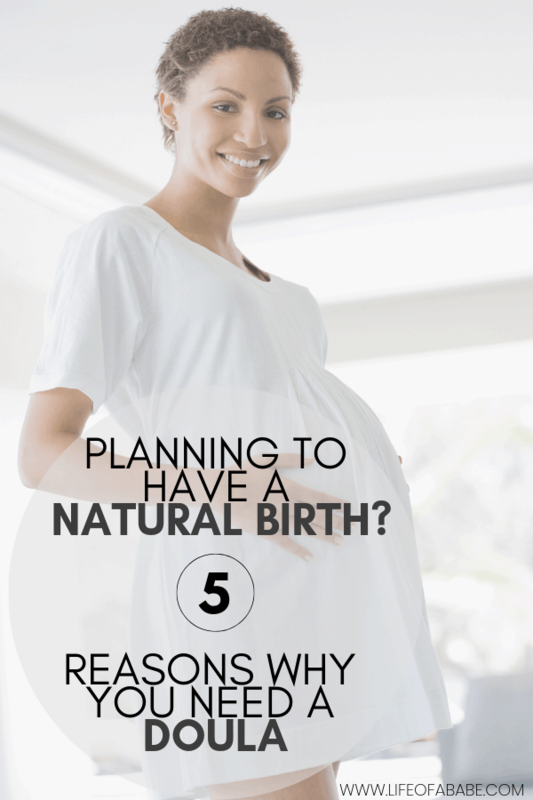 This can be due to the relaxation and coping mechanisms taught by the doula, which can have a positive physiological effect on the laboring woman. 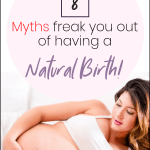 The more you’re able to relax during labor, the more your labor hormones are able to work undisturbed and synergistically to faciliate the process of a natural birth. The continuous support of doulas was also found to have a positive effect on the APGAR scores of infants at birth. According to this study, the infants of mothers who received doula-support during labor had higher APGAR scores at the 1 and 5 minute mark. Hiring a doula now may save you money in the long-run. According to this statistic, in 2013 the average cost of a c-section birth in the U.S. was $51,125, while the average cost of an uncomplicated vaginal birth was $32,093. The amount you end up paying out of pocket (or not) depends on your insurance coverage. Here in Ontario, we have provincial coverage for medically necessary c-sections, so birthing women don’t go home with bills for that, but the fact remains that births with no interventions cost far less than those with interventions. Studies have shown that doula supported births have substantially lower chances of having c-sections than women without doula support, saving you money in the long run. Have you ever hired a doula? Thanks for explaining how a doula can help provide physical, emotional, and informational support during pregnancy. When choosing one, it would probably be a good idea to research local professionals online and through recommendations from people you know. You’d probably want to also meet with the ones you’re considering in order to ask questions and discuss your situation so you can find one that you’re comfortable with who can provide the support you’re looking for. After my last baby, we had a doula who was very supportive and informative. It made adjusting to he newborn a whole lot more enjoyable & I was able to get a whole lot more rest. Great post! Thanks for sharing. I loved my doula, she was super supportive and took care of so many little things my husband and I never would have thought to do. Wow you make wonderful points here! I can see why this would be so beneficial as I had very difficult births! Thank you for explaining this so well!! Very easy to understand. I am researching for a friend and will be sure to share this with her. You’re an awesome friend. Thanks for reading! I really wanted to have a natural birth my second time around but I just felt the lack of support from my partner. Like he was little to no help sad to say. I was trying to handle the contractions the best that I could on my own and I eventually tapped out. IF I decide to try this again I will be seeking a doula. I believe that he will better support the next time because I LET HIM HAVE IT a few days after birth. However, I still will have the extra support on the side. “I let him have it” LOL! i don’t blame you though. It can be tough having someone who you think will be supportive, but doesn’t end up delivering. Having a doula will be great for both you and your partner…Sometimes they just don’t know what to do. But a doula can help with that. All the best!